b Subcellular location coded as M, mitochondria; ER, endoplasmic reticulum; NM, nuclear membrane. c Reactions (4), (5), and (6) can be mediated by the same enzyme (see text). d Reactions © and (8) are mediated by the same enzyme. 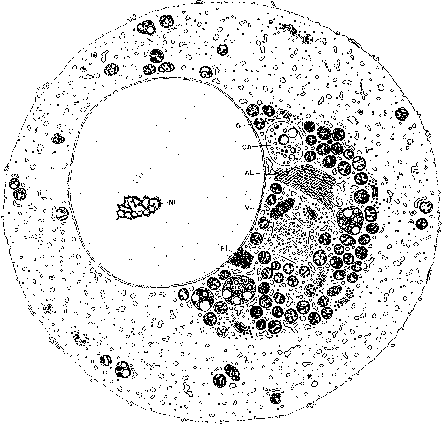 e Portions of the data were abstracted from Miller (1988). 11 hydroxyl or alternatively with carbon-21 to creates a six-membered hemiacetal ring. drosten-17-dione. The production of these and related steroids may increase in some instances of adrenal tumors; women with such tumors may develop secondary male characteristics, including beard growth and hirsutism. (in decreasing order of relative potency) are 5a-dihydrotestosterone (86) (150-200%), testosterone (15) (100%), androstanediol (85) (65%), androst-4-ene-3,17-dione (25) (25%), androsterone (10%), and dehy-droepiandrosterone (77) (10%). Two general metabolic pathways lead from pregnenolone to testosterone; they are, respectively, either the A5- or A4-pathway (see Figure 2-22). Steroid intermediates on the A5-pathway can be converted to the corresponding steroid on the A4-pathway by oxidation of the 3/S-hydroxyl to a (oxo) ketone (3/8-steroid dehydrogenase) followed by migration of the double bond from C5_6 to C4_5 (A5, AMsomerase) (see reaction 2, Table 2-6). FIGURE 2-22 Pathways of androgen biosynthesis in the testes. The main steps of metabolism are numbered (in circles) according to the reactions described in Figure 2-18 and Table 2-6. The pathway of conversion of steroid, 72 —> 74 —> 77 —» 85, is known as the A5-pathway, while 12 —> 76 —> 25 15 is known as the A4-pathway. Any steroid on the A5-pathway may be converted to its corresponding steroid on the A4-pathway by the sequential action of the multienzyme, the 3/3-steroid dehydrogenase / A5, AMsomerase (reaction 2). The conversion of testosterone to DHT (reaction 14) occurs in peripheral target tissues such as genital skin and hair follicles. especially in androgen target glands such as the prostate. The physiological actions of the androgens are discussed in Chapter 12. In females, in the follicular tissue there is evidence for both the A5- and A4-pathways of androgen production (as outlined in Figure 2-22). Pregnenolone apparently is a more efficient precursor of carbon-19 steroids than progesterone in ovaries without corpora lutea. In the zona reticularis of the human adrenal cortex, there is also evidence for both the A5- and A4-pathways. However, the principal pathway appears to be a combination of both. The several metabolic pathways for the conversion of either androst-4-ene-3,17-dione (25) or testosterone (15) into estrogens are summarized in Figure 2-23 (a unique feature of this conversion is the loss of carbon-19). The estrogens are all 18-carbon steroids. They are produced in females in the ovaries (both the follicle and corpus luteum) and the fetal-placental unit. In males, the testes under some circumstances can produce physiologically significant amounts of estradiol. In both males and females, the adrenal cortex can generate small quantities of estrone from androst-4-ene-3,17-dione. The estrogens in humans are characterized by (i) loss of carbon-19, (ii) an aromatic A ring, (iii) absence of the two-carbon side chain on carbon-17, and (iv) presence of an oxygen function at both carbon-3 and carbon-17 and, in the instance of estriol, a third oxygen at carbon-16. Intriguingly, estrogenic activity is not restricted to the steroid structure; compounds such as diethylstilbestrol (39) (see Figure 2-11) have potent estrogenic activity. The major naturally occurring steroids with estrogenic activity are estra-3,17/3-diol (16), estra-3,16a, 17/3-triol (89), and estrone (88) (see Figure 2-23).